Reflecting on the Journey – What its all About! Very much open to interpretation here, however, after nearly 30 years of being involved in the sport in every capacity; I’m a firm believer that reflection on these areas has brought some of the greatest joys! Ride the highs and never let the lows bring you down! Celebrate the positive, filter the negative, and grow from the mistakes. Treat every ice time like its game 7! The “process” is an ever-evolving journey of your development as an athlete setting out to accomplish goals, just as much as it is your personal growth as a young man/woman living to your highest possible standards of character and integrity. If you ever think you’ve arrived, you’re in the wrong place. Your perspective and gratitude is what makes everything so fulfilling. Be honest with yourself and fully understand where you’ve come, and where you want to go! Be grateful for your abilities, resources, and accomplishments. Humility is a very special quality. 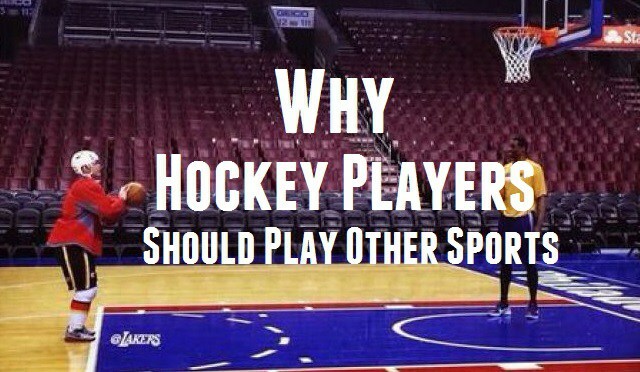 Top Non-Hockey Sports That IMPROVE Your Hockey Skills! It should come as no surprise that participation in other activities helps to provide well-rounded athleticism, a mental break from their primary sport, as well as a social communication dimension when working with new teammates. 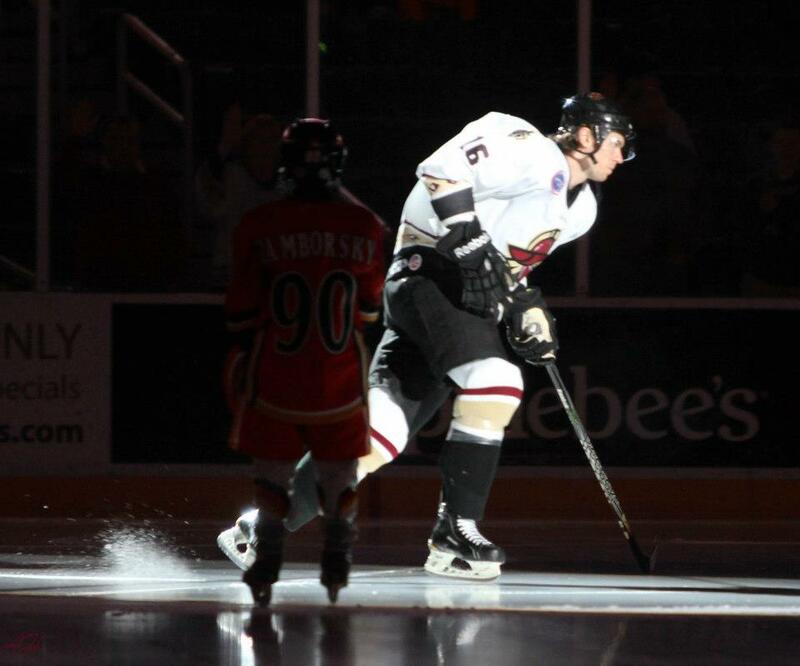 Few, if any sports will hurt your hockey skills; however here are a few sports we think have some awesome qualities that translate to improving your hockey skills! Great hand eye coordination work, coupled with a great blend of cardio, physical, and hockey like movements. Also, similar positioning and overall team strategies. Tremendous cardio workout improving stamina and endurance. Foot skills in soccer will greatly help ankle strength in stride development as well as edge control. Involving incredible mental focus and concentration. No different than bouncing back from a bad shift, the same applies to a bad stroke in golf. Mental resiliency 101. Plus, the mechanics of a sound swing in golf are very similar to that in a great snap and slap shot! No matter what, be sure your athletes are out and active enjoying the beautiful weather, getting sweaty and working hard! TWO MONTHS & COUNTING until we’re rolling this summer! We can’t wait to see everyone soon! Did you know every OHP program offers personalized goaltending instruction?! Rest assured you’ll get the technical coaching and support in any OHP program you we’re to select. If you we’re thinking something more goalie ONLY-specific, be sure to check out our weeklong Goalie Camp the week of August 7-11, or our 1 Day Goalie Clinics in June and July; all at the Barons Arena! Looking for some extra advice? Check out what our friends at ProStockHockey.com have to say about goaltending with their Goalie E-Book, available for free HERE. Keep that glove up this off-season! What type of program are you looking for this offseason? With our diverse program options, we’re certain we’ve got the program for YOU! Need a weeklong, comprehensive full (or half) day environment? Check out our Training Camps! We’ll be in a rink near you this summer! 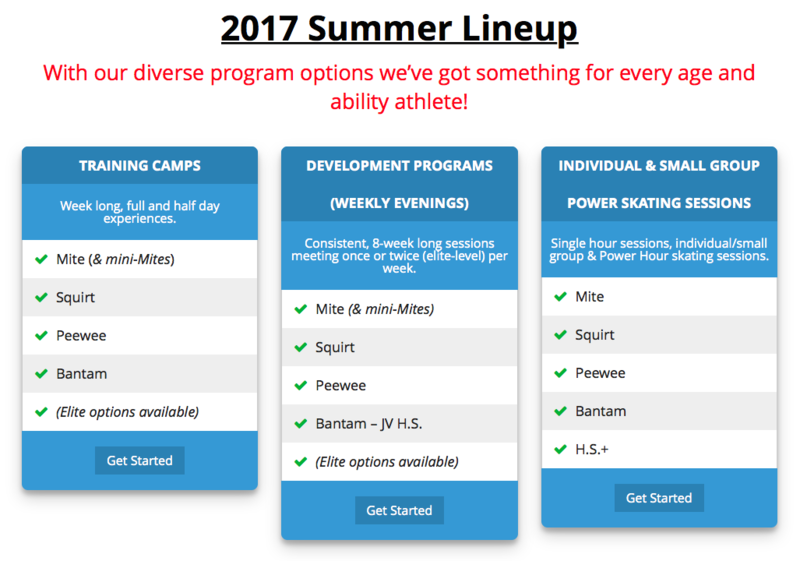 Looking for a consistent, practice like environment featuring on and off-ice sessions each week? Our 8-week long Development Programs are just the fit! Midget & Varsity level players be sure to check out the Futures Hockey League. Cleveland’s premier 02’-98’ birth year players can be found here this summer! Have packed schedule this summer? Then our drop-in style “Power Hour” Power-Skating & Individual/Small Group Sessions are the way to go! Goalies, we’ve got you covered! Every single program offers individualized, personal goalie coaching. You can’t go wrong! If you we’re thinking something more goalie specific, be sure to check out our weeklong Goalie Camp and 1 Day Goalie Clinics! We look forward to having a HUGE off-season with you this summer!